Clay Aiken – Congratulations to Kristin! Congratulations to Kristin Chenoweth. Kristin made the guest list for the State Banquet at Buckingham Palace Tuesday evening. Then, President and Mrs. Obama asked Kristin to entertain Her Majesty the Queen of England at a dinner they held last night in the Queen’s honor at the Ambassador’s official residence, Winfield House. 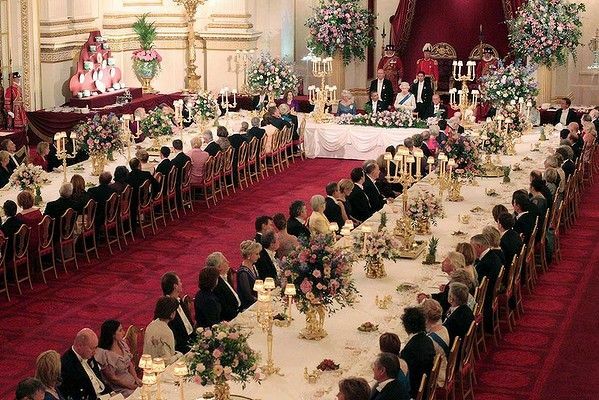 This dinner is protocol following the Queen’s dinner in honor of the President Tuesday at Buckingham Palace. Kristin sang some of the Queen’s favorite show tunes that included “People Will Say We’re In Love” (OKLAHOMA), “Till There Was You” (THE MUSIC MAN) and “I Could Have Danced All Night” (MY FAIR LADY) amongst others. She also sang some of her own songs. It has been reported that Kristin received a standing ovation for her performance. Chenoweth was born and raised in Broken Arrow, Oklahoma. Adopted at birth, Kristin started singing at an early age. She earned a master’s degree in opera performance at Oklahoma City University. In 1993, Kristin performed her first role on Broadway in a musical called Animal Crackers. Since then, her career has been a non-stop time of hits on Broadway, in films, and on TV. Chenoweth won the Tony, Drama Desk, Clarence Derwent and Outer Critics Circle Awards for her role as Sally in the Broadway revival of You’re a Good Man, Charlie Brown. 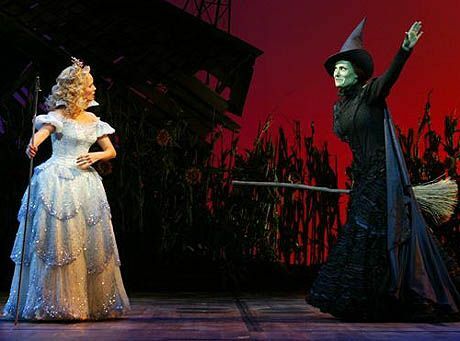 She is probably most known for her role of Glinda, the Good Witch of the North in the musical Wicked. Kristin has had great success on television. She spent two seasons as part of the award-winning cast of the West Wing. In 2007, she played Olive Snook in the series Pushing Daisies and won an Emmy Award for the role in 2009. Recently, she has had a reoccurring role in the popular series, Glee. Kristin was raised as a Southern Baptist but now calls herself a “non-judgmental, liberal Christian and does not feel she is attached to any one denomination. I think it’s important to remember that Christianity was based in love and tolerance and forgiveness and acceptance. I don’t want Christianity to be a negative word anymore. I want people to understand that there is a group of Christians out there who want to be more open and understanding and tolerant and loving of all kinds of people, even the people that don’t believe in God at all. Last year, Chenoweth responded to Ramin Setoodeh, an openly gay writer for Newsweek. In his review of Sean Hayes, her co-star in Promises, Promises, Setoodeh said that there was a credibility problem. He questioned whether an openly gay actor could portray a straight character correctly. Chenoweth called the article “horrendously homophobic” and accused Setoodeh’s view as “the same kind of bullying” that young gays face in school. Chenoweth went on to say that audiences come to the theatre to go on a journey and do not care about an actor’s sexual orientation. Most of the press and critics approved Kristin’s comments and it became a big story in the media. Kristin and Clay Aiken have met each other often. Since they both have a lot in common, it is not surprising that they seem to enjoy each other. They had their picture taken together at the 2005 Emmy Awards. That was the evening that Clay was a part of the on-site team for The Insider. Congratulations to Kristin for the honor of singing for the Queen. She certainly is a talented lady and I am sure she represented the United States in a positive and exciting way. Wow, what an honor for Kristen. She's cute with an beautiful voice. Thanks for all the information on Kristin, Musicfan. I had no idea that she was performing for the Queen. What an honour!!!!! Good for her. I had no idea that Kristin "adjusted" her faith. Again, I love how she stood up and spoke for those that are bullied. I remember reading about Sean Hayes, and some problems with him starring in a "straight" role…I really am so proud of Kristin for speaking up… We need more people like her!! What an honor for Kristin. She is multitalented and bravo for her stand for gay rights. That is quite an honor for Christin..to sing for the Queen. No wonder Clay has been friends with her. He so appreciates people like her…and, I am so proud that she stands up for Gay Rights. Can you blame her…when he visited her backstage..when she said he is adorable? Haven't we been saying the same thing forever? Error: Error validating access token: Session has expired on Tuesday, 21-Aug-18 16:13:01 PDT. The current time is Wednesday, 24-Apr-19 01:49:41 PDT.